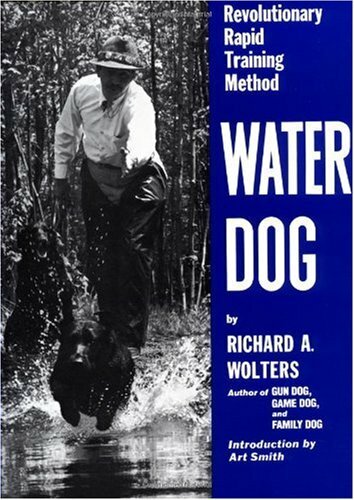 WATER DOG is: The first book written for the person with limited time who wants to train a working retriever fast and who wants to train it himself. The first book written in the retriever field with new scientific information on the mental development of the dog. It's a step by step training book with no extraneous material. It covers everything from the day you get your puppy to the finished dog. The first book written about the retriever with new commands and using the Dummy-Launch, a new training device co-developed by the author, making training easier for you and your dog. The first book to show the complete training procedures step by step in picture sequence. It covers every facet of the training. It will show you not only what to expect of your dog but what your dog can expect of you. You will be able to"see"how to do it. It's written with humor - fun for you and your dog. WATER DOG is A REVOLUTIONARY RAPID TRAINING METHOD."